Please call us at 1-877-824-9463 to speak with customer service and place your order. Carefully selected custom labeled wines, shipped to your door. We'll ship your beautiful custom labeled wine directly to your door! 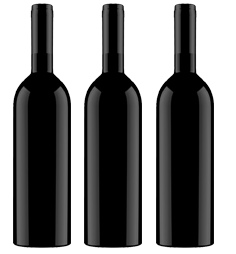 Custom Wine Source is your best source to order custom labeled wine and wine gifts of the highest quality. 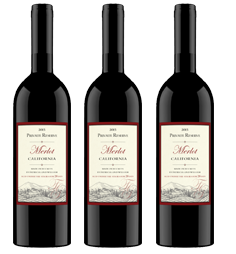 To get started, Choose a wine and then personalize it with one of our beautiful custom wine label designs. Personally labeled wine is perfect for weddings, birthdays, corporate events, Christmas gifts, anniversaries, grand openings, or any special occasion. 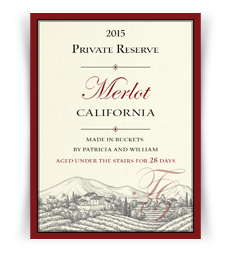 Choose from a variety of custom wine label options to make a beautiful custom wine bottle. Personalized wine bottles make beautiful and unique wine gifts that are popular as corporate wine gifts, wedding gifts, or can be used to add a special touch to your private wine collection. 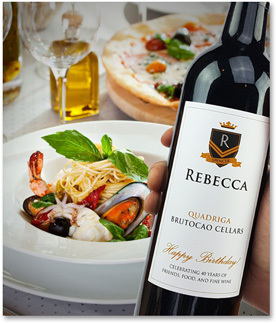 Want to include a custom photo or logo on your wine label? Simply choose a design from our Add A Photo/Logo category and get an instant preview of your custom image wine label right inside your browser. 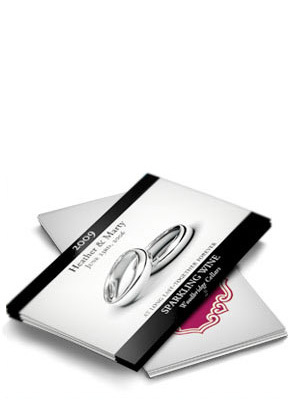 Have your own label design that you'd like us to print for you? Our Submit Your Design category lets you upload your design using your choice of label shapes and sizes to create your own unique customized wine bottle. Need a hand, or want to discuss your project?